I know looks are subjective, but there is no denying the C7's lines draw you in. There is a lot going on style wise, finer details. I always felt the C6 Z06 lacked a bad angle. I'll argue it will probably go down as one of the prettiest modern Corvettes. Fact is though the C7 is fresh, modern and so far 2 years into production, it still catches eyes as it should. C7 - Striking, aggressive, taught. 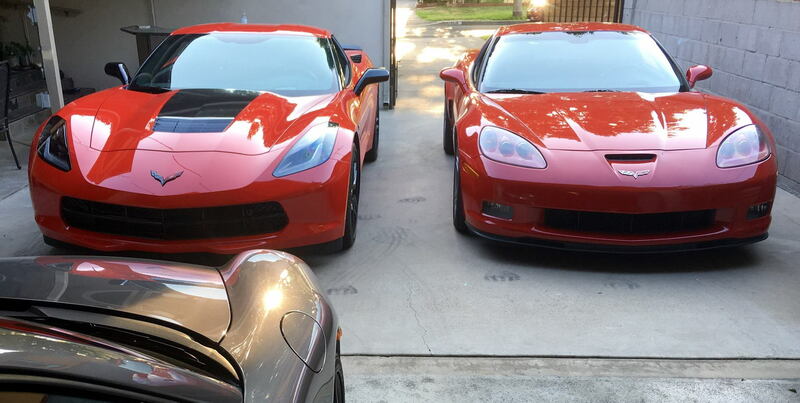 C6 - A simple design by comparison, the wide and bold stance design has aged better than narrow body models. Getting into the C7 it already feels like a tighter cabin. You don't get the sense that its smaller car though, you just wear it more fittingly. Something to be aware of if you thought the C6 cabin was inconvenient for this reason. Things seems to be better put together, materials are of nicer quality. Again there is more going on here style wise. It feels more open, visibility advantage is minimal but clearly better. 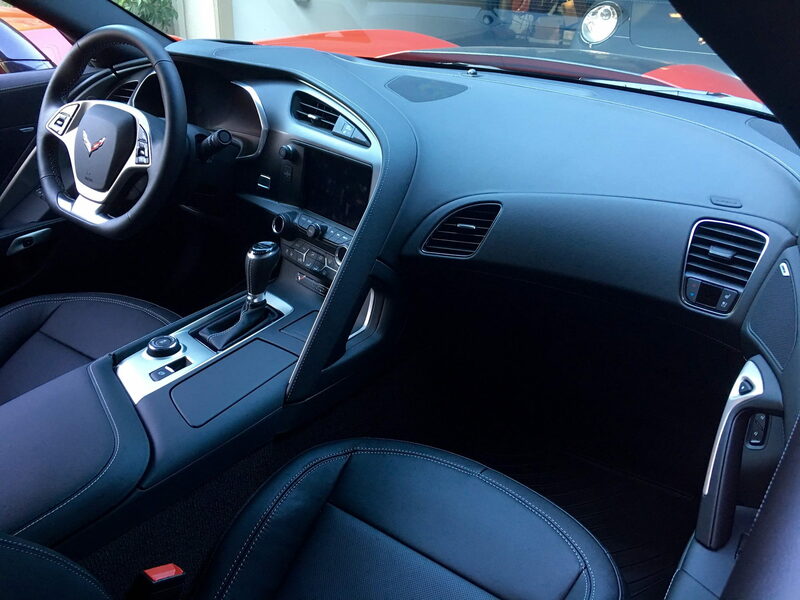 Overall I still appreciate the interior ergonomics, and overall fit/finish of the C6. 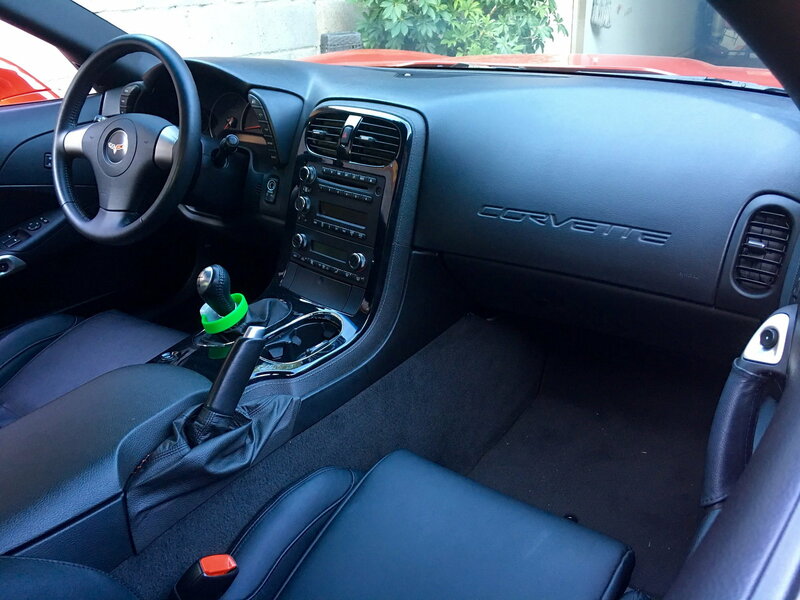 Its 8 years old and the interior is aging better than any C5 I've owned. When priced new I could definitely understand the criticisms. For what you can buy these things for today however, it is perfectly acceptable. I truly mean that! C7 - Dare I say an even larger departure from the inside than the Exterior. Amazing that it took this long to get on par. shortcomings are minimal and so for the money its spot on. Rear and front cameras make up for near bunker like visibility. C6 - Surprisingly spacious, and ergonomically sound at the expense of style. today 38k miles and 8 years later the interior is holding up better than I ever thought it would. 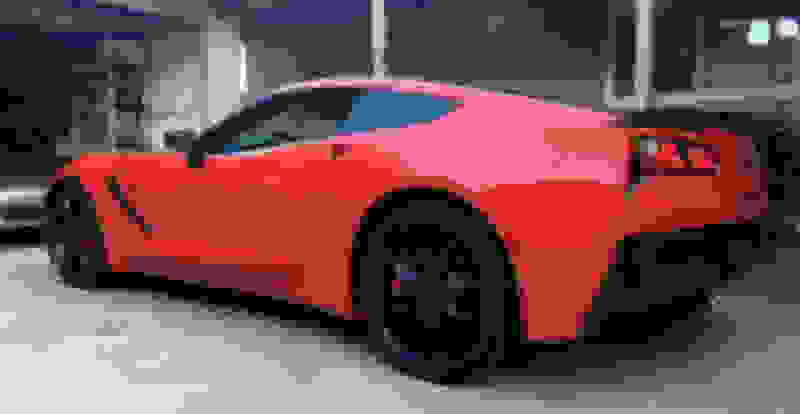 I will continue my next posts with driving impressions and technology on the C7 - although it will be a work in progress since the break in period is still a good amount of miles away so no acceleration/performance differences yet. But ride quality, noise, comfort will be shared in the mean time. 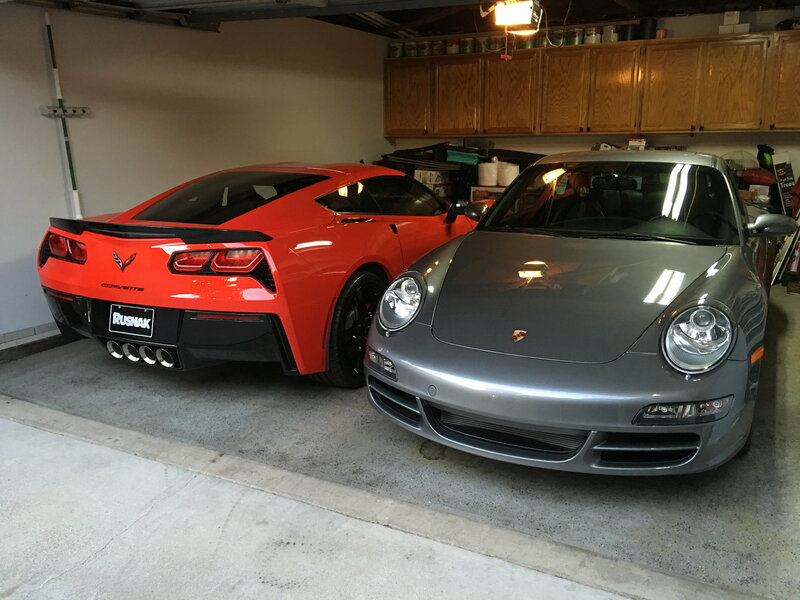 When people ask me what my dream garage would look like it would include 911s and Corvettes at the very minimum. Last edited by NiteriderFRC; 06-02-2016 at 11:50 PM. Well, I can see that Pops taught you well. 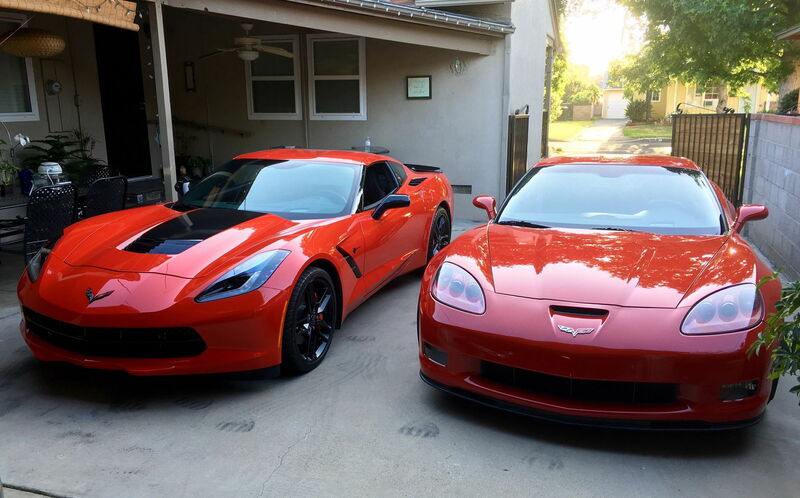 Nice comparison and looking forward to your upcoming posts.By the way, Pops has good taste in autos, but better color taste on the C7. 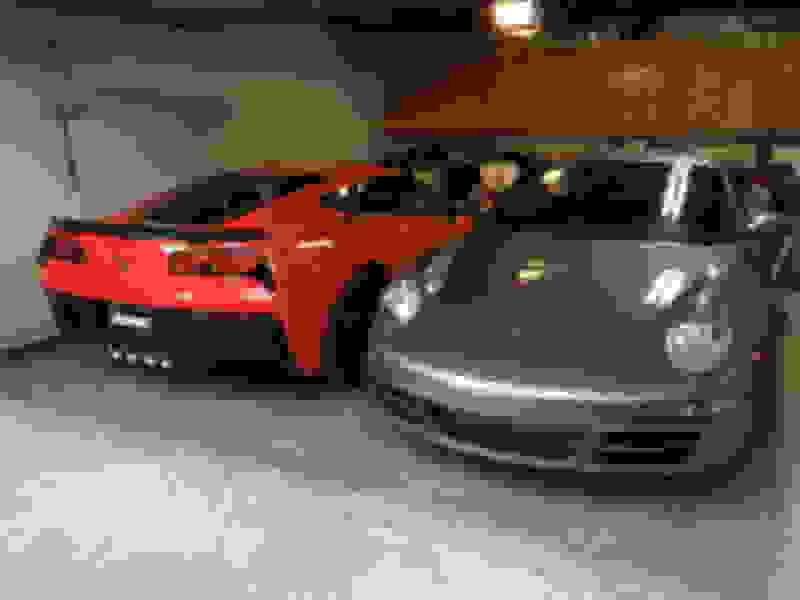 Good review and super that you and your "Pops" share the car passion. I have yet to sample a current 7speed C7 but from the initial drives ive had with this a8 and of course keeping it under 3.5k rpms i have to say the throttle response is sharper. Past the initial tip in there is a sharper surge of noise and accel the deeper I go. Ill continue to explore the different levels but that is my initial impression on throttle response. The C5 and C6 are known to lag in throttle response, an issue thats magnified with the autos. More notes to come ! Last edited by NiteriderFRC; 06-03-2016 at 02:01 PM. My experience with the move from C6Z to C7 was the C7 was better in almost every way. Not nearly as raw as the C7, but that's not all bad. The C7 interior is light years better, but I really miss the pull the C6Z had from 4,000 to 7,000. The C7 throttle response (M7) is pretty bad, but a Vitesse throttle controller ($160) really wakes it up. If I don't trade mine for an Admiral Blue Grand Sport or Stingray, I'll probably need to do something to overcome the 10% power deficiency and 10% extra mass relative to the C6Z. What seats are those in your 2008? The C7 interior is light years better, but I really miss the pull the C6Z had from 4,000 to 7,000. That's why the invented the C7Z! And am I the only person who can avoid quoting all 6 pictures in my one-line response? Last edited by davepl; 06-07-2016 at 01:54 PM. Last edited by NiteriderFRC; 08-17-2016 at 02:30 AM. Ill be sure to review the A4 seats directly to the atock gt seats in the C7. The cost of upgrade from c6 seats were worth every cent.